The Laptop Storage Desk Credenza and 5 Shelf Bookcase offers the perfect space for your laptop, plus a storage solution that fits in any room. The convenient pull out keyboard drawer with a flip down front folds up neatly. Includes wire management and full extension ball bearing slides. Display your favorite art, photos and more on this 5 Shelf Bookcase with three adjustable shelves for flexible storage and two fixed shelves for stability. 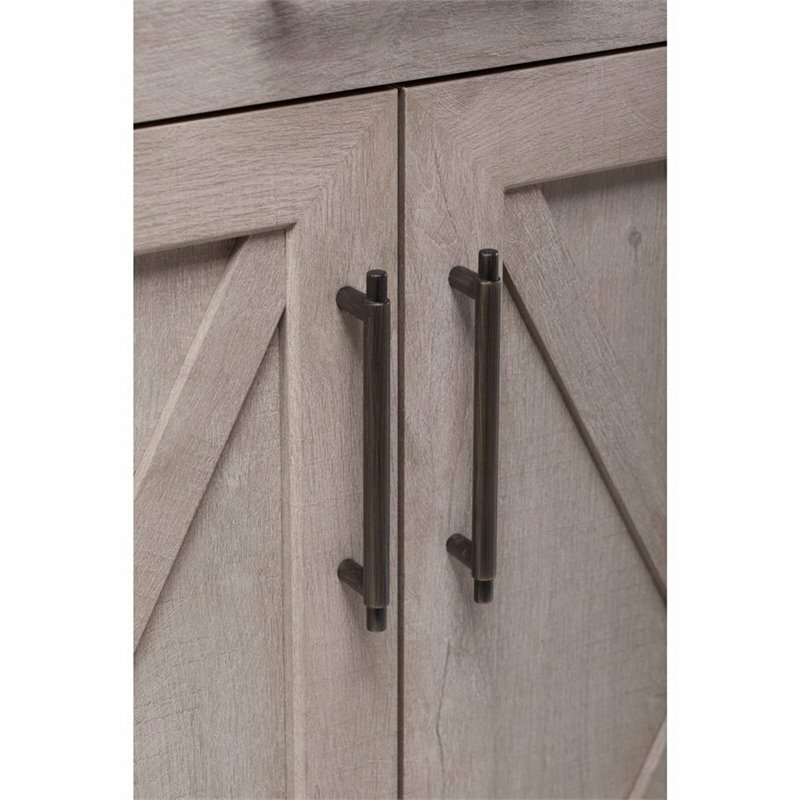 Enjoy the look of natural reclaimed wood with an authentic Washed Gray finish, Aged Bronze hardware and attractive post leg design. Work in style with the unique X pattern accent on the doors and airy bookcase side panels. Wall attachment hardware included. Meets ANSI/SOHO standards for safety and performance. Backed by the Pemberly Row 1 Year Manufacturer's Warranty. See the full collection for coordinating items available.